Millie Bird is a seven-year-old girl who always wears red wellington boots to match her red, curly hair. But one day, Millie’s mum leaves her alone beneath the Ginormous Women’s underwear rack in a department store, and doesn’t come back. Agatha Pantha is an eighty-two-year-old woman who hasn’t left her home since her husband died. Instead, she fills the silence by yelling at passers-by, watching loud static on TV, and maintaining a strict daily schedule. Until the day Agatha spies a little girl across the street.Karl the Touch Typist is eighty-seven years old and once typed love letters with his fingers on to his wife’s skin. He sits in a nursing home, knowing that somehow he must find a way for life to begin again. In a moment of clarity and joy, he escapes. Together, Millie, Agatha and Karl set out to find Millie’s mum. Along the way, they will discover that the young can be wise, that old age is not the same as death, and that breaking the rules once in a while might just be the key to a happy life. What first drew me to this novel was that it had been likened to The Hundred Year Old Man which I bought many years ago but have never gotten around to reading. But reading the blurb of both novels I could already see the similarities even down to the fact that once I’d read them I thought ‘this is going to be hilarious, I must have them’. And I wasn’t disappointed, I found this novel to be laugh out loud in places, uncomfortable in others and even heart-wrenching in places. But what impressed me the most about this story is its ability to deal with very difficult issues like that of loss and death and abandonment in ways that you wouldn’t necessarily expect as well as bringing genuine life to the characters and their perspectives. What really strikes you throughout this novel however is the sense that neither generation seem to be able to get a handle on the world, to make sense of the people around them. We are never given the perspective of anyone who is not a child or an octogenarian but we are shown their interactions with the average citizen but only as far as to show how our protagonists consider the world. The phrase ‘Once an adult, twice a child’ has never been more apparent than while I was reading this book. Those at the beginning of life are still learning how to navigate the world and society and those at the end of their lives come to realise that it doesn’t matter what you do because ‘you’re going to die’ as Millie would tell you… repeatedly so do what you like. Considering that, by and large, this novel comes across as a comedy or at the very least highly amusing, it deals with very complex and very dark issues. The comedy makes it more palatable but I found a deep sadness at the heart of this story that when I let my mind linger on it made my eyes well up and my heart sad. But I also found an admiration for Davis because it is she that has achieve all this, taken the time to consider these topics and put them across to the reader that makes it enjoyable to read but does not compromise the tragedy of it whilst acknowledging that it’s never too early to consider the world and it’s never too late to reclaim it. Richard Armitage stars in Arthur Miller’s classic American drama brought vividly to life in this visceral new production by internationally acclaimed director Yaël Farber.In a small tight-knit community, personal grievances collide with lust and superstition, fuelling widespread hysteria. Miller’s timeless parable attacks the evils of mindless persecution and the terrifying power of false accusations. Before watching this production of The Crucible I knew very little about the play and even less about the Salem Witch trials so I went with a completely open mind. When my friend first asked me if I wanted to go with her I agreed purely for the opportunity to go to the Old Vic and see the wonderful and dashing Mr Armitage live. It was later, and much to her mirth, that she informed me that I wouldn’t have to figure a way to get down to London on a Thursday after classes and be back in Nottingham for classes Friday morning.But my little anecdote illustrates the beauty of theatre screenings in local cinemas, making powerful, moving and renowned plays more accessible those who show an interest but are not fortunately situated and for that I am supremely grateful. The Crucible is not one to miss, it was crafted so simply but left the audience feeling raw and some (myself included) moved to tears. Visceral is absolutely right, feelings of fear and dread for characters but also a feeling of futility as you know there’s nothing that as the audience you can do to stop it. The fact that you are watching on a screen rather than in the theatre does dramatically alter the way you watch it but with this production there was the impression that the directors were aware of this and used it to their advantage, to support the production as a whole. One example of this is during the set changes. At the theatre you would normally just sit and ignore the fact that various people walk on and off the stage with the set because you know it’s not a part of the play but it is a necessity. But because the camera mediates what we see in the cinema, the production team is a liberty to play with what we see. In the case of this screening slow motion and layering of frames were used to distort the stage so that yes we could still see that the props were being changed but the actors were also kept in view at all times but moving unnaturally slowly and somewhat transparent. This added to the eerie supernatural feeling that underpins the play itself. There was also excellent use of non-diagetic music to once again leave the audience feeling on edge and uncomfortable. I cannot say whether the music was used in the theatre production or purely for the screening but the use of music vs silence was expertly balanced. There were times when I hadn’t even noticed that the dark poignant had started up again until they stopped, leaving an eerie silence and a creepy stillness. The play itself is testament to the actors and their talent as there is actually very little action to speak of throughout, barring the viciousness movements of the girls being possessed. There was mostly dialogue, conversation between characters but at no point did the story feel like it was dragging because of it. I never found myself asking when something was actually going to happen. In fact, when the intermission commenced, one of my friends turned and said ‘has it been two hours already?’ the drama was so gripping. If anything, because there is such a stillness about the play, it makes it all the more startling when there is suddenly an outburst of movement. I especially liked that the production was performed in the round which gave the camera the liberty of capturing any angle, nothing was hidden from us. The audience was all around and so the actors were more authentic as they didn’t have to cater to the fourth wall. Arhur Miller’s play by nature makes you question ideals such as truth, honour, theology and loyalty to name a few. As I have never seen another production of The Crucible I cannot vouch for how successful it ordinarily is to convey those complexities but I will say that in this production I would defy anyone to come out the same person that they went in. I defy anyone not to leave heart sore or at the very least reflective. If this production is being shown at a cinema near you I implore you, take the time to go and see it. It is truly worth three and a half hours of your time more than any evening tv you could surely catch up on another time. Ceony Twill arrives at the cottage of Magician Emery Thane with a broken heart. Having graduated at the top of her class from the Tagis Praff School for the Magically Inclined, Ceony is assigned an apprenticeship in paper magic despite her dreams of bespelling metal. And once she’s bonded to paper, that will be her only magic…forever.Yet the spells Ceony learns under the strange yet kind Thane turn out to be more marvelous than she could have ever imagined—animating paper creatures, bringing stories to life via ghostly images, even reading fortunes. But as she discovers these wonders, Ceony also learns of the extraordinary dangers of forbidden magic.An Excisioner—a practitioner of dark, flesh magic—invades the cottage and rips Thane’s heart from his chest. To save her teacher’s life, Ceony must face the evil magician and embark on an unbelievable adventure that will take her into the chambers of Thane’s still-beating heart—and reveal the very soul of the man. 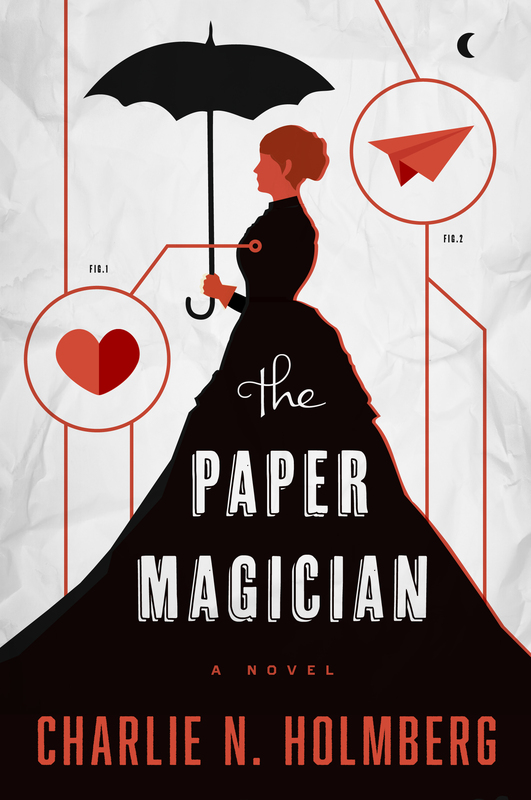 From the imaginative mind of debut author Charlie N. Holmberg,The Paper Magician is an extraordinary adventure both dark and whimsical that will delight readers of all ages. As I have been mostly reading my course texts in recent years it has been a while since I’ve been able to sink my teeth into a good Sci-Fi and Holmberg’s The Paper Magician has made for a wonderful reintroduction. The world she creates is not all that much different from our own, located in London with recognisable sights. The magic she uses is very subtle, the paper magic is explained in a way that is so simple that it seems almost plausible, almost as though all we’ve been missing is the magic bond to bring our origami works of art to life. It is detailed enough that you can tell her explanations are well thought out but not so much so that it is almost painful to follow. Also, for me it was almost like a mystery novel as although the story is linear in its plot there are hints continuously through out to events that happened before the story began, references that mean nothing to us because we don’t know what’s gone on previously. But Holmberg doesn’t tell all up front, she leaves bread crumbs to leave you intrigued as to what the characters are referring to and makes you wait to make sense of them, as the other characters find out, so do we. Holmberg shows a creativity and an imagination that is highly refreshing because its not outlandish, you get the impression that she looked at the world around her and thought about what could be rather than making up a world of her own in which you have complete control and can make it exactly how you want it. The narrative itself takes place over a surprisingly short amount of time, mere weeks in the world of the story but that does not seem to effect the pace of the story, at no point did it feel like the story was being padded or drawn out as can often be the case when an entire novel tells only a short amount of time. The middle/main portion of the story is repetitive, in the sense that there was a quest like formula that the protagonist had to get through, but that didn’t make it boring. In fact I found myself at the end of the story in no time wondering how it could possibly end there, I wanted to know what happened! I was bitterly disappointed when I went to get the next story, having already read the first teaser chapter from the sequel at the end, only to find that NetGalley had archived it the day I finished the first novel! My favourite aspect of Holmberg’s writing was her descriptions and great imagery, okay it helped that I’m fairly familiar with London anyway, but I really enjoyed the descriptions.It was almost as if I were the paper magician reading the words to life around me, which is something coming from a girl who just likes to cut to the good stuff and ordinarily ignores the scenery. As a bookseller, I would whole-heartedly recommend this book to customers who are thinking about trying out Sci-Fi but don’t want to be thrown into the deep-end. It is not the best novel you will have read but who needs that from every novel. 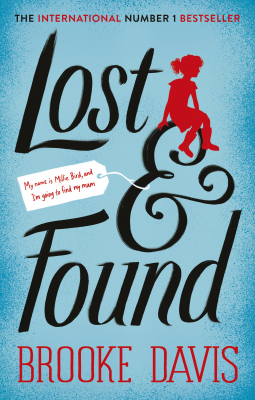 It was a thoroughly enjoyable read that I would be eager to get my hands on the sequel of just to see where its going! And that’s all one can ask when they pick up a book and are whisked off into another world. Now she’s made a new life for herself in the country, working as an estate agent. Bella loves her job and she loves her boyfriend Nevil. But recently he’s been preoccupied, and she’s starting to question if his future hopes and dreams are a perfect match for hers. And when Dominic turns up unexpectedly in search of his dream house, she begins to wonder if home is really where the heart is. But she’s over him, isn’t she? I chose this book because I’ve read and enjoyed Katie Fforde’s, Recipe for Love, A Perfect Proposal, Love Letters, Going Dutch, Practically Perfect, Paradise Fields and Artistic Licence… to name a few. In fact it wasn’t until I started the list that I realise just how many I’ve consumed in a period of years. That’s part of the beauty and charm of Fforde’s writing. You can be completely absorbed in her world of quaint towns and village life for a few hours then put it down and out of your mind. Therefore each time you pick it up its like rediscovering an old friend. Fforde’s writing can be rather formulaic at times but that is not necessarily a critique. She knows what she’s good at and more importantly she knows what we won’t which I think why I’ve come back to her over and over without even realising. I confess this isn’t my favourite of her novels despite the fact that it ticks all the boxes. Small town, check. Previous heartbreak, check. Crappy current boyfriend, check. Return of the dashing heartbreaker, check. Task that allows our heroine independence, check. But for some reason, this particular novel didn’t work for me. Fforde usually portrays strong yet heartbroken women looking for a way to restore their confidence and sense of self worth. But I found Bella a highly irritating. She never seemed to stick up for herself in the face of her boyfriend’s belittling, irritated smiles and quick changing of subjects left me yelling ‘say something!’. She quickly discovers that passive aggression gets you nowhere but strong-armed into an unwanted marriage and home. Nevil is the stock patronising, misogynistic ‘bad guy’ that I refuse to believe could possibly exist. Although I myself am not, and never have been, a man I have always found the male characters in Fforde’s writing to be fairly well rounded and complex, not as much so as the heroines, but enough to be believable. Nevil is nothing but a caricature and Dominic is barely explored. That being said, it is always possible that my opinion is heavily coloured by my own personality. It is possible that relationships like Bella’s do exist but I could never see myself putting up with the behaviour that Bella does and therefore cannot relate with her. But I love Alice! She is a ray of sunshine! A perfect balance of classic and modern, opinionated yet understanding. She is the figure of the older lady that any young woman would be happy to have in their life. Alice conducts her relationship with Michael perfectly by being open and adventurous yet cautious enough to be sure. What is wonderfully refreshing is that she is independent, unmarried with no children and perfectly happy, there is no sense of judgement. The Perfect Match is a story about exactly that, be that the perfect house, perfect house-mate or relationship. There are an expanse of truly heart warming relationships displayed throughout the novel to offset the more enraging ones. Katie Fforde is a wonderful way to take a few hours to yourself, get lost in her world and relate to or castigate her characters. I’d recommend you try her novels for yourself to get lost in quiet, quaint towns across Britain. Let me preface this review with an apology. 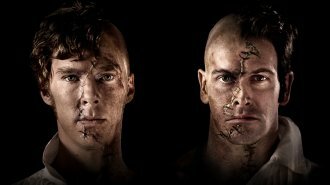 I am going to be discussing the screening of The National Theatre’s most recent production of Frankenstein starring Jonny Lee Miller as Dr Frankenstein and Benedict Cumberbatch as the Monster and therefore there may be points in which I give things away. I hope to limit this but as with all reviews it is often difficult to avoid and so I apologise. It is also worth stating that watching a theatre production and watching a screening of a theatre production are two very different experiences, both with their good and bad points. I will attempt to engage with these differences where I can. The screening begins with a short introduction from the writer, Nick Dear, and Director, Danny Boyle. It is a nice touch that allows you to connect with the artistry of the production before you even begin as it allows you an insight in to their minds and anticipate changes that they explain their motivations. We also see a montage of both Miller and Cumberbatch in both roles which wouldn’t otherwise be possible unless you choose to see the production twice. We also hear from the actors themselves as the explain how they went about choosing how to portray the characters and what inspiration they use. It is a great resource for any actors of film buffs in the audience. But only to the cinema going audience as this opening introduction is not available to the theatre audience. The first thing they would have seen was the birthing of the Monster. I do mean the literal birthing, the monster emerging from a womb like opening complete with umbilical cord. What is witnessed next can only be described as excruciatingly uncomfortable yet brilliant. The opening of the play sets up the tone as stated by Boyle. It is all about the Monster, we are made to watch and concentrate on nothing but the monster as he emerges and finds his feet, a cross between the primordial human and a fawn in the woods. This is one of the ways that the filming of the production differs from a film. You get the impression that Boyle has made the theatrical equivalent of a growing/learning montage. But instead of the scenes being sharply cut together showing rapid progress we get no breaks or reprieves. We are made to sit and watch as the, practically naked, monster stumbles around slowly animating his limbs and discovering his voice. As always, Benedict Cumberbatch is extremely convincing in this role as he is with any. As anyone who has seen his audition for Smaug in The Hobbit: Desolation of Smaug, Cumberbatch embodies the character he is playing fully, even when it is only a speaking role. His portrayal of the monster is no different. It is almost as if his limbs actually don’t belong to him in places, animated as the rest of him is still as though he has no idea it is there. Very convincing indeed. But I can’t help but wonder what Miller would have done with the same scene on a different night. During the interview at the beginning he shares that as they kept swapping the roles, the characters began to bleed into each other sharing stutters and other characteristics. This makes you want to turn up the next night, knowing that the stories will be exactly the same just so you can pick out where it is different. To see if the characters will seem even more similar when they switch places. It is a fantastic experiment in characterisation and acting styles. As stated before, this production is very much focused on the Monster, his feelings, motivations and experiences. We see Dr Frankenstein once at the beginning when he chases the monster away but then he doesn’t return again until the Monster goes looking for him much later. It is not until he returns later and we see his conduct with his fiancée/Cousin Elizabeth that it occurred to me, both Miller and Cumberbatch both play Sherlock Holmes, they share another character. Their portrayals of Sherlock are very different, almost as if they are of parallel universes. They are both modernised but Millers version is set in America, John is in fact Joan as well as Moriarty being a woman and a transgender Mrs Hudson. Cumberbatch’s version more traditional, using the original story lines in a modern setting. Therefore we are used to seeing these to actors comparatively through the characters they play. But more than that, we are used to seeing them distant and socially awkward yet absolutely brilliant. What was strange was the casting of George Harris and Naomi Harris. Both wonderful actors in their own right but it is entirely unexplained as to why, as members of the Frankenstein family, they are clearly from another heritage. It is never mentioned, alluded to or indicated that it is at all unusual. But I find that somewhat endearing, clearly to them it does not matter. As though it is not worth mentioning, they ask us to accept that this family appear to be from different cultural backgrounds but they are a family none the less, accept it and move on with the story. Much like the second movie in the Jurassic Park Trilogy, in which Jeff Goldblum’s daughter is black with no explanation as to why. It is what it is and we move on. So, moving on, watching a the filming of a theatre production does have it’s pros and cons. For example, we are given the unique advantage of close ups and camera angles which is impossible in even the most expensive seats in the theatre, which raises my next point. It makes the experience a hell of a lot more affordable as well as accessible if, like the majority of the audience when I went to see it, you are a student in the midlands and can’t afford to pop to London on a week day to take in a show. But at the same time you are at the mercy of the director, more so than if you were in the theatre audience, you also don’t get the atmosphere that only seems to exist in the theatre. The awe of knowing that actors now considered national treasures are in the same room and putting on a show for us is lost in the cinema yet the fact that we are still in a cinema means that we do not lose the collective feel as you would when watching it on DVD at home. By being in the cinema, we are an extension of the theatre audience, laughing when they laugh (believe it or not there are some fairly comical moments) and jumping when they jump. If you can’t make it to the theatre to see an up and coming production, a cinema viewing is truly the next best thing. Previous to this viewing, I had never seen a theatre production filmed for cinema actually at the cinema and now I wonder why I’ve never been sooner. With the calibre of acting and directing quality it was always going to be a fantastic and moving production and it certainly didn’t disappoint. If it is showing anywhere near you would implore you to go and see for yourself and if you can’t decide which version to see… go to both! I wish I had. Written in taut, poetic language, THE LONGEST MEMORY is set on a Virginian plantation in the 19th century, and tells the tragic story of a rebellious, fiercely intelligent young slave who breaks all the rules: in learning to read and write, in falling in love with a white girl, the daughter of his owner, and, finally, in trying to escape and join her in the free North. For his attempt to flee, he is whipped to death in front of his family, and this brutal event is the pivot around which the story evolves. D’Aguiar’s novel The Longest Memory is one that I have been studying this week in my Representing Slavery module at university but it’s unlike any of the other books that we’ve studied so far so I’ve decided to make it my début review. The subject matter is obviously a sensitive one, one that it is difficult to say you’ve enjoyed lest someone get the wrong impression. So instead I will say that I enjoyed D’Aguiar’s writing in this novel. He does not adhere to the same restrictions that perhaps other writers fall prey to in the sense that he has a freedom and fluidity of medium that I personally have never experienced before. It’s written mostly in first person present but not completely, he adopts different characters voices (both male and female), he switches to verse form and back, he incorporates newspaper clippings and diary entries. The result of this is a novel that intrigues the reader as you have no idea what you to expect as you turn the page. The beauty of this novel is that although it is fairly short (a godsend when doing an English degree) it’s polyphonic form makes it feel full. It effectively tells one story from many perspectives, each chapter/character giving us a little more information/insight into the one event that is the main focus of the book. Although there is both violent and disturbing imagery in The Longest Memory it does not detract from the beauty of the writing or the complexity of what D’Aguiar is trying to do with this novel. I would wholeheartedly recommend it just for the experience of reading a novel that so flies in the face of what we’re used to expecting when we pick up a novel.